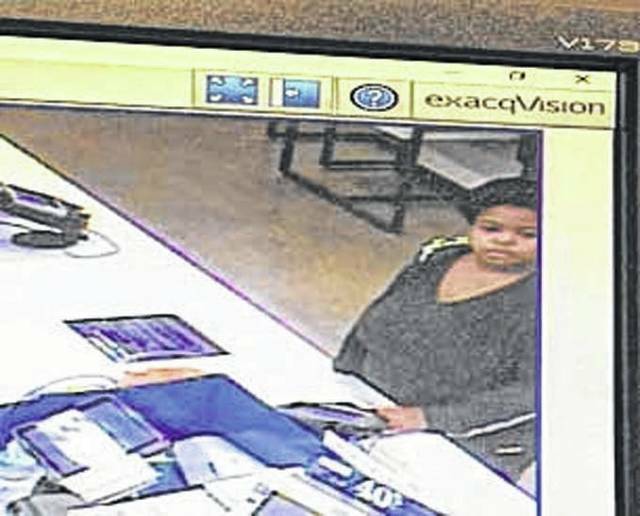 Photo courtesy Xenia Police Division Xenia police are looking for this woman who allegedly stole a purse and used a credit card. XENIA — Xenia police need need help in identifying the suspect in a theft from the parking lot at the Xenia YMCA. A victim’s purse was stolen from inside of her vehicle March 30. Later that day, the victim’s Old Navy credit card was used at the Old Navy store at The Greene. Video shows the suspect loitering in the parking lot of the YMCA for a couple of hours. If you recognize the suspect, contact Detective Moore at 937-376-7207 with any information you can provide. If you were at the YMCA the afternoon of March 30, make sure nothing is missing from your vehicle. If you find something missing, call 937-372-9901 to get a report started. Police remind residents when leaving your vehicle parked in any public lot make sure you do not leave any valuables out in the open inside your vehicle. https://www.xeniagazette.com/wp-content/uploads/sites/32/2019/04/web1_Police-photo.jpgPhoto courtesy Xenia Police Division Xenia police are looking for this woman who allegedly stole a purse and used a credit card.